Back in April of this year, I was looking around for new food and cocktail podcasts and discovered one for the highly lauded radio show, Dinner Party Download (DPD). DPD is a truly unique show modeled after the traditional phases of a dinner party: ice breaker (a joke), small talk (news), cocktails (history lesson and drink recipe), main course (food news), and a song for the ride to/from your weekend plans (always lesser known bands). I was catching up on back episodes of the podcast when I came across their segment on the history of the New Coke launch and the ensuing debate over Coke formulas. Living in Atlanta I am very familiar with the story, but the part of the report that piqued my interest was the story-inspired cocktail created by Cara Laudino, the bar manager at Miller Union. She called her creation, Pemberton, after the pharmacist Dr. John Pemberton that created the original Coke formula in May 1886. A few weeks later, Katruska and I headed out for our birthday cocktail crawl and Miller Union was at the top of our list. When we arrived, I noticed with disappointment that the Pemberton was not on the menu, but not being shy about going “off menu” I asked if it would be possible to get one. Fortunately, I happened to be talking to its creator, Ms. Laudino and she graciously agreed to make one. I loved it’s sweetness from the Coke, hint of bitterness from the Fernet Branca, and fragrence of fruit from the orange peel. Since that time, I’ve been back to Miller Union many times, but hadn’t ventured to request another Pemberton. That is until my last visit, when Katruska and I were back for the privilege of interviewing Cara for Our Libatious Nature and it was finally on the menu. I ordered one and sat back for one of the most pleasant conversations I’ve had in many months. Until we’ve had the opportunity to write about our conversation with Cara, she’s allowed us to provide her recipe for a Pemberton to tide you over. We hope you enjoy this unique libation at home and then try her other creations at Miller Union. You will not be disappointed! 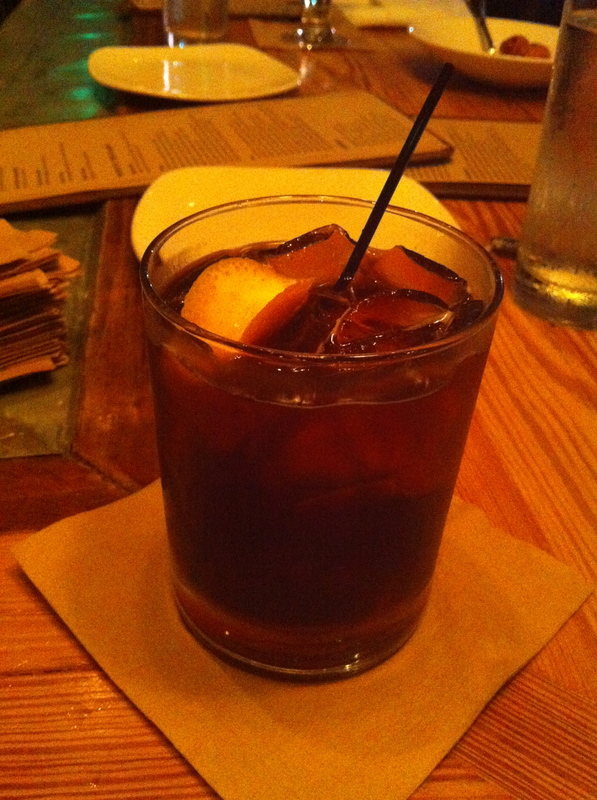 Place all ingredients in a lowball (old fashioned) glass, stir, and top with a twist of orange peel. For the record, The Piper was at both visits to Miller Union providing his usual snarky commentary. Piper, you will be fully recognized when the full review goes on the blog. No slight intended, m’lord. Thanks for the compliment Michael, but we have to give all the credit for the Pemberton to Cara Laudino at Miller Union. She is the genius behind it. You should definitely go by and let her make you one! Agreed…that is where I learned of the Pemberton.